Will you have a pinch of Fantasy? Don't think you'll be able to read our verdict concerning Final Fantasy XV today, for reasons we'll evoke in a few hours. Don't worry though, as we'll have a few videos to share with you. Also, we will be live playing the game tonight if you want to ask us a few questions. If you're interested, be there at 9 p.m. CET for our 30-minute-livestream. Nice to know you guys are doing another livestream, feels like the last one was a long time ago. As for the game's verdict/review, it's understandable, RPGs are very long and unless a copy is sent 2-3 weeks in advance, it's really hard to have one by the time the game launches. Which gets even worse if you have another job other than reviewing and/or are playing other games as well, plus with this being the most busy games release period of the year just makes all of this very complicated. So it's all cool. 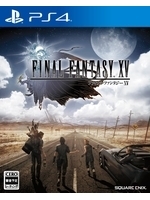 In the end, I just hope that FF15 is at the very least "very good", because I still have many doubts about the game after everything I've watched and read. Waiting for reviews from different sources to see what's good and what's bad about it, though it does already seem to be better than FF13 by everything I've seen. PS. Where's Loakum?! 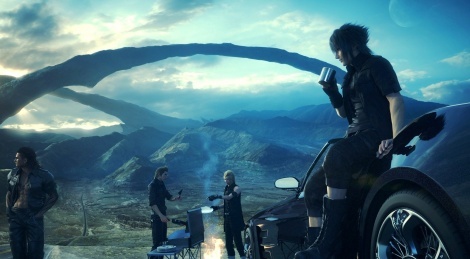 Here is FF15's launch week and he's nowhere in sight. Noctis Theme is something to marvel. good FF tracks like the old days.